Tell us about yourself—you know, all that stuff that makes you interesting! First, thanks so much for having me, Linda! I think one of the reasons authors write is because we hate talking about ourselves. At least that philosophy applies to me. I’m not shy—I’m anything but shy! But I much prefer to talk about my writing—my characters are lots more fun than I am! But there might be a few fun facts about myself I can share. I’m originally from Texas. (I consider this a fun fact because I now live in NY!) I left Texas when I was twenty—never mind how long ago that was, that is not a fun fact! I have a rather cool day job, I drive a car for hire to the airports. As jobs go, I like this one, as it gets me outside and I meet a lot of fascinating people—one old fella was a map maker during WWII. Did you know that map makers worked in big Army trucks that were constantly on the move in order to avoid detection by the enemy? Pilots would risk their lives to fly over enemy territory in order to photograph the area, then the film would be delivered clandestinely to the map maker in his truck. (There would be a crew of map makers in the truck.) Also, all maps that were outdated had to be accounted for and filed. Otherwise, they would assume the maps had fallen into enemy hands. I was astounded to learn all this, and more! I live in Westchester County, NY, and I’m a single mother of a fifteen year old girl. She started high school this year, so I’m figuring I might not live much longer. She’ll do just fine. (Laughing here) Been there, survived that! 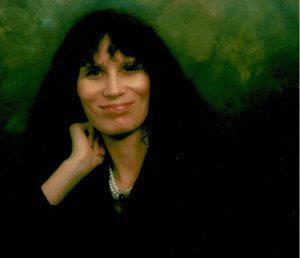 I write historical romance and romantic suspense. Most of my historical romance has suspense, as well. I can’t seem to shake that element. Heh heh. Aside from writing, I love reading. I’m a total geek. I do love baking, and I love eating what I bake! My daughter and I love Dr. Who and Sherlock. Gosh, who wouldn’t? Oh, we DO have a lot in common! When and why did you begin writing? This is a cool question. I didn’t get the bug to write until I was in my thirties. I put off the idea for a long time. I figured I was too old. Heh heh. When my daughter was born, I was certain all ideas of writing would disappear. That wasn’t how it went. A friend once told me that I didn’t choose writing. Writing chose me. That’s likely true. The compulsion really just became something I couldn’t deny. I wrote that first scene (it was quite awful), then I showed it to someone who gave me the name of an editor at Simon and Schuster, and she told me to contact the editor. I was stunned, but that was encouragement I just couldn’t ignore. So I kept going. Scottish historicals and romantic suspense. ROFL. A little of both. I sit on an idea for a loooong time. If the idea makes it that long, I write a few scenes to see how I ‘feel’ about the characters. I do lots of research very early on, as my findings play a huge role in story development and plot. If the story is complex enough, I make all kinds of notes, a lot of which is done in the manuscript itself. I do keep all research for reference. I don’t plot out the story, but I’ll keep notes on plot points and how they need to play out and how the characters think/react and what they want to accomplish. Anything to do with character development. My all-time favorite author is Charles Dickens, with A Tale of Two Cities being my all time favorite book. Talk about an inspiration. I adore Stephen King, Amanda Quick, and Anne Rice. There are many more like Margaret Mitchell and Ray Bradbury. My two critique partners, Evan Trevane and Kimberly Comeau are huge inspirations to me. They’re both amazing writers. My own favorite work? ROFL. Whatever book I’m currently working on. I know, I’m fickle. Best experience: wow, that’s a toughie. I’ve had some amazing experiences as a writer. Really, I think my best experience as a writer is when I get the reviews that say “I couldn’t put this book down.” There is simply nothing better than that. Worst experience: Writing is a tough, competitive business. Really, like any other industry, there’s a lot of nasty business that goes on. I’d say among the worst are the vicious critiques I received from other authors. (I don’t use the word vicious lightly.) These critiques were very clearly a result of the authors’ agendas. Eventually, experience has taught me how to deal with these types of attacks, but it was rough at the start. It’s difficult to understand why people feel compelled to use those tactics. How about the best/worst writing advice you ever got? Best writing advice I ever got: Keep writing. My latest work is the first book in my Highland Lords series, “My Highland Love”. Ooooh, men in kilts! I love men in kilts! Elise Kingston is a wanted woman. Nothing, not even Highlander Marcus MacGregor, will stop her from returning home to ensure that the man responsible for her daughter’s death hangs. Until she must choose between his life and her revenge. I’m hitting the home run on the second book in the series “My Highland Lord”. Oooooh, more men in kilts! This book continues the MacGregor saga with Kiernan MacGregor, Marquess of Ashlund, and son of Marcus MacGregor, our hero in “My Highland Love”. Here’s the tagline for “My Highland Lord”. Oh boy, I have no idea. What would my fans like to know about me and my work? Keep in mind, if I reveal certain things, I would then have to kill you. (Deep swallow!) Moving right along…tell us something about yourself that your readers don’t already know. I love hardboiled eggs, baby carrots, and coffee. Ok, coffee may not be all that surprising. It has been a real pleasure meeting you, Tarah. Thank you for spending time with us! I loved the interview! I too, love a good strong coffee while reading a Scottish romance! I could not ask for more! What more could a girl ask? Scottish romance with men in kilts and good strong coffee. You pour, I’m on the way! I couldn’t agree more, ladies. I love writing about these Scottish heroes with my steaming hot coffee.